Elmvale Primary School Jumping for Joy! 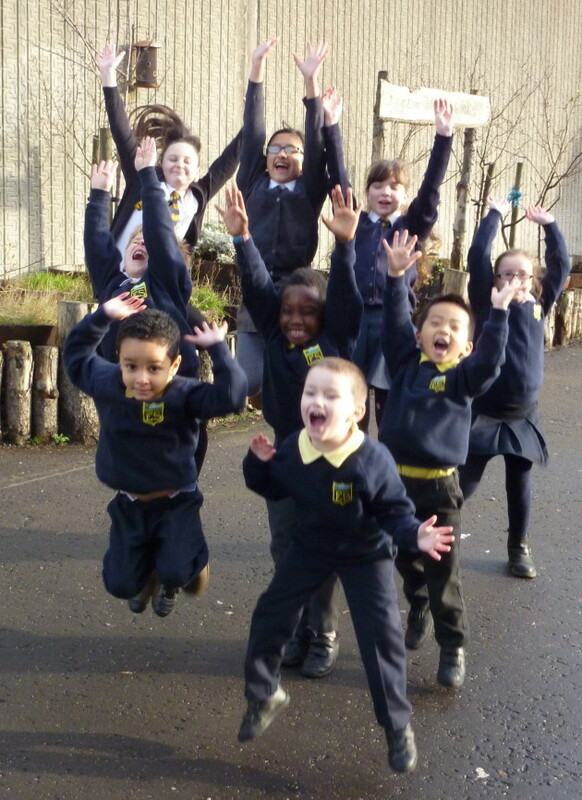 Pupils at Elmvale Primary School in the Springburn area of Glasgow are jumping for joy after the school received a grant of £500 from Scotmid Co-operative West Regional Committee. The funds will be used to create a sensory garden in an overgrown area of their playground, introducing more natural materials, soft planting and a calming area for children to explore and spend time in. Teacher Vicky Kytzia said: ‘Pupil Voice is very important to us at Elmvale Primary and Nursery School and we are extremely grateful to Scotmid Co-operative for enabling us to develop a more nurturing, safe haven in our playground. We are looking forward to involving the whole school in creating and building a stimulating outdoor learning space. The schoolchildren will participate in the design process and a committee comprised of the landscape gardener, artist, parents, other members of the community and partners will further develop the project, creating school grounds that will fulfil a number of functions in a limited space and engage those who use them on a number of levels. Working with parents and outside agencies, the Elmvale Community Action Group (ECAT) has also been established by the school to support the most vulnerable children and families through activities such as gardening, cooking, and support groups for families.